Twice each month, a group of six to 16 parents gather on a Friday evening. They don’t take part in the types of activities you’d typically associate with Friday nights, although they do eat dinner together. Instead, it’s an opportunity for them to exchange ideas and concerns and how to become better at their most important responsibility – parenting. Rodney Burton (far right) leads the discussion at a recent Parent Café meeting. 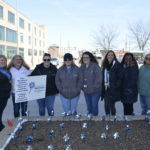 Be Strong Families, an organization based in Chicago, started Parent Café in 2007 to educate families on the Strengthening Families Protective Factors, which is a strength-based system for families and caregivers that aims to keep children safe and families strong. Adult & Child Health recently adopted the program, which meets twice monthly. The next meeting is scheduled for 5:45 p.m. Jan. 25 at Earlywood Education Center, 500 Earlywood Drive, Franklin. 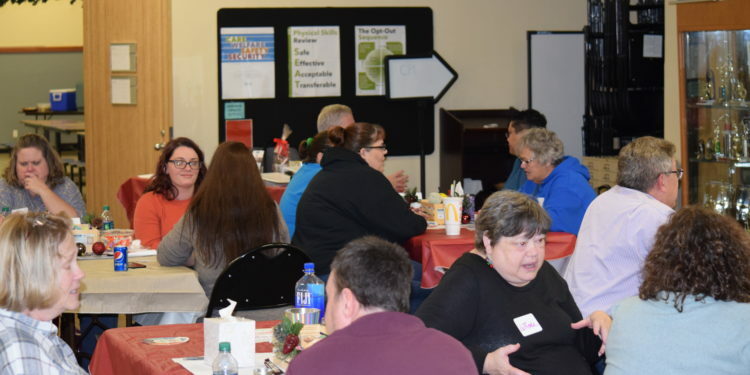 Michele Neumann, Adult & Child’s Parent Café coordinator, said about 80 percent of a typical Parent Café meeting consists of foster parents, but adds that all parents are welcome to attend. Parent Cafe presenters instruct participants to be mindful of the 5 Protective Factors and the Parent Café Agreements, pictured above, at the beginning of each Parent Café meeting. What happens at Parent Cafe meetings? At the Dec. 14 meeting, which Burton and Neumann described as typical, the parents trickled in with their children around 5:45 p.m. for a dinner that included ham, mac & cheese, mashed potatoes with gravy and Hawaiian rolls and various cupcakes and pies for dessert. Once they finished eating, the kids retreated to a play room (supervised) while the parents convened in a nearby classroom. 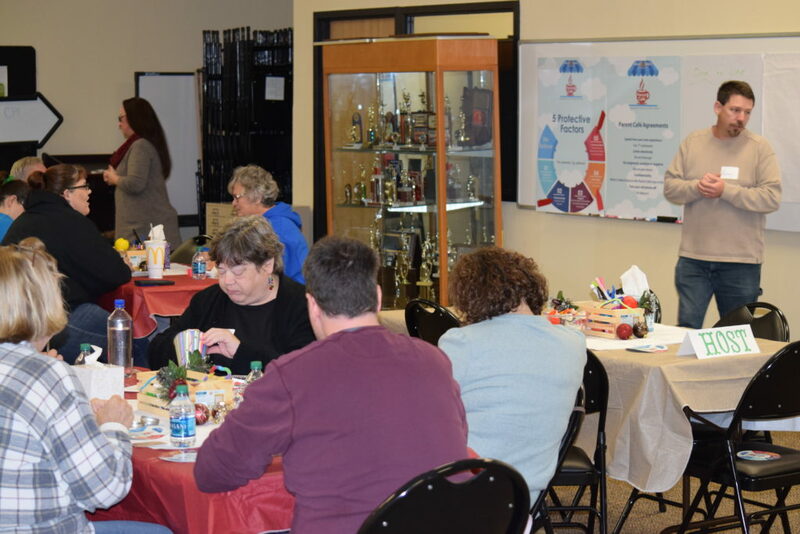 Each table included informational material, chocolate, Kleenex, crayons and pen and paper, along with Christmas decorations. 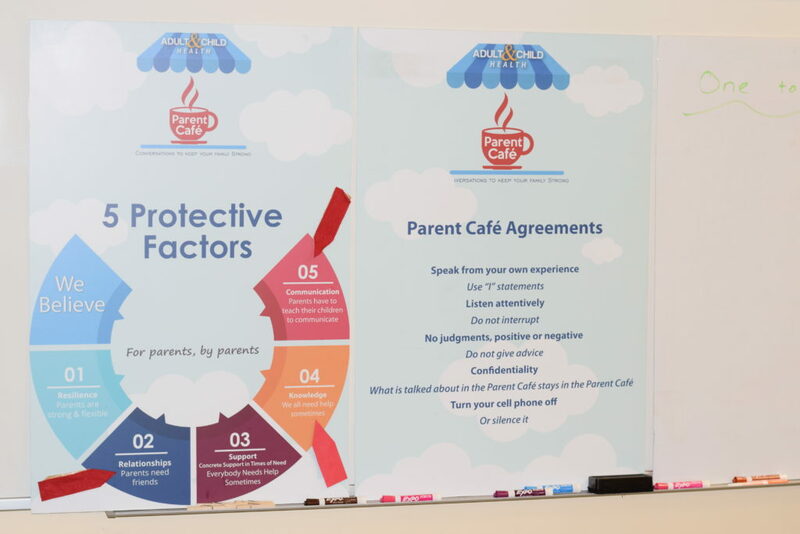 On the dry-erase board, the Parent Café’s “5 Protective Factors” and the Parent Café agreements (pictured above) were affixed to the board, along with five more boards. Burton, along with co-presenter Charity Behrmann, discussed the ground rules, then the parents broke up into pairs. One person talked for 2 minutes, 30 seconds, and the other person wasn’t permitted to speak during that time. RELATED CONTENT: Find out how Adult & Child Health’s Youth Development Team works with teens on solving the problems they’re facing. The speaking parents introduced themselves, described their families and the time they felt most connected to their children. Then, they reversed roles. From there, the “café conversation” portion begins. Parents talk with each other in three rounds, 15 minutes per round. Some parents switch tables as the topics change, so they hear viewpoints from a wider variety of parents. They base these rounds on three of the 5 Protective Factors (pictured above). This time, they chatted about Relationships, Knowledge and Communication, respectively. Parents shared parenting practices, and relatability became a general theme. 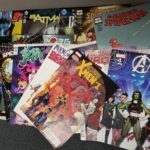 While Neumann and Burton are generally happy with the current Parent Café setup, both said they would like to see the local program grow and expand. Feb. 22, 6:30 to 8:30 p.m. (dinner served at 5:45 p.m.), Earlywood Education Center. Theme: The Pains of Love, But How Sweet It Can Be. March 4, 10 a.m. to noon, Greenwood Public Library. Theme: What do you do for fun as a family? March 29, 6:30 to 8:30 p.m. (dinner served at 5:45 p.m.), Earlywood Education Center. Theme: What do you do for fun as a family? April 8, 10 a.m. to noon, Greenwood Public Library. Theme: Who are the important people in your family to help your children grow? April 26, 6:30 to 8:30 p.m. (dinner served at 5:45 p.m.), Earlywood Education Center. Theme: Who are the important people in your family to help your children grow? To RSVP to a Parent Cafe meeting or for more information about Parent Cafe, contact Michele Neumann, Parent Cafe coordinator, at 317-619-2657 or mneumann@adultandchild.org.